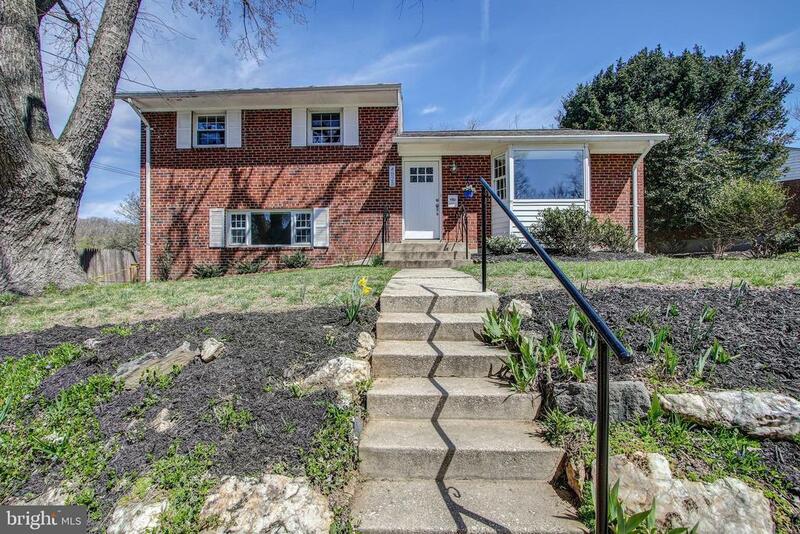 Remodeled split level home w/front bay window... just a few steps to Rock Creek Park. Gorgeous white kitchen w/quartz counters, stainless appliances, pantry, recessed lighting, under cabinet lighting, and wood cabinets w/soft close feature. Beautiful new upper level bath and updated lower level bath with expanded shower. Sliding doors from dining room to large deck...brings in lots of sunlight. Hardwood floors on the main and upper levels. New carpet in family room. New exterior doors. Side entry from driveway to laundry/mudroom. Private fenced level yard. Sidewalks. Great location...close to metro and the new Pike District.